Boots UK has released a new advert in order to inspire women to try something new and to invite them to feel playful and good. 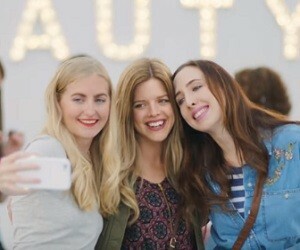 Created based on the idea that 72% of women would love to change their beauty look more, the 30-second spot features several girls trying out new make-up products and new looks. Boots invites you to find the latest beauty inspiration in store and at their website. The track used in the ad is “Everybody’s Free” by Rozalla.